James Byron Long Road Out Of Nowhere Review! James Byron’s album entitled Long Road Out Of Nowhere is awash with emotional, heartfelt lyrics from beginning to end and several hooks that stay in your head. It is a beautiful, accomplished and introspective debut which can be listened to in full on his YouTube and SoundCloud pages. A very catchy opening track 2 Days is both catchy in it’s chorus and in it’s instrumentals. A brilliant sprawling song which has a combination of a rock/country/folk sound. Rage Through Me was the first song of Byron’s I heard and it has always been my favourite. The guitar sound running through it is perfect, the chorus is very memorable and like 2 Days and many other tracks on the album there is a great storytelling quality to it. Byron’s vocal is very narrative-like and it really works very well. I think we’ve all been there in some way or another, “I couldn’t love you less right now but it doesn’t mean I don’t want you around.” The song flows beautifully and the chords are stunning throughout. This song is one of those songs that makes me kind of sad but sad in a good kind of way if that makes sense. I can relate a bit to it and the chords and Byron’s vocal combined with the lyrics is so heartfelt. It is a beautifully crafted song. A flawlessly understated song this song is what I call my “The Voice UK Song”. Obviously Byron was on the show himself but why I call it that is because it was the song I had on a lot the night before I auditioned for the show so based on that the instrumentals are clearly calming. Very catchy too. Emotionally-rich and transcendent, it is heartfelt and assured. Beautifully emotive and lyrically golden. Watch This Space is a very edgy song and I love the attitude in Byron’s vocal delivery on it. The guitar sounds fantastic and it is a very well put together composition. A very cleverly-written track, the metaphor of parts of your life and the many people you meet are part of the jigsaw that makes up your life really works. Byron’s vocal combined with the softness of the instrumentals has a very calming effect which works perfectly. Like Watch This Space, the attitude in Byron’s vocal really works on this track and is also very storytelling-esque. The progression of the instrumentals throughout is stunningly delivered. Let In Love has a very country/rockabilly feel. It has a bit of an Amy Winehouse sound to it and is very catchy and danceable. I think most people from a small town will be able to relate to the title track on the album. It has a huge country influence to it and is strident and soaring. The closing track closes out the album beautifully. The lyrics are sung in a conversational style which works stunningly. A beautifully, understated track with a beautiful chord sequence and as always Byron’s vocal sounds clear, crisp, heartfelt and beautiful. But everyone knows what you are. We got friends in the present day. But ours are built on love. And neither has anyone else. Well which would you choose? 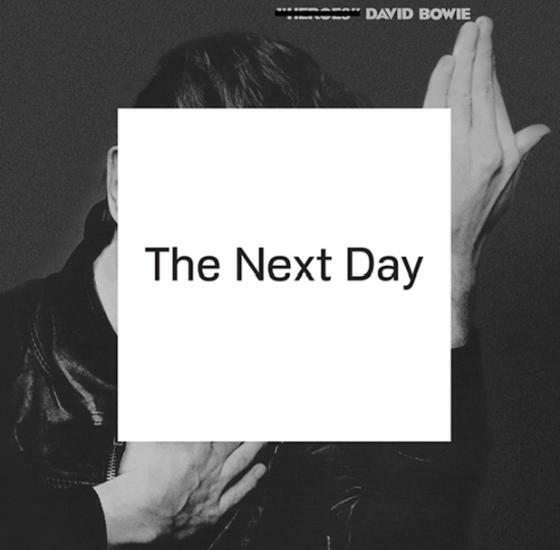 David Bowie The Next Day Deluxe Edition Review! Some artists have a great successful career the first time around but when they come back to make an album years on it doesn’t sound quite as well and listeners are left yearning for the glory days of the past. Not so with David Bowie whose 2013 offering The Next Day when played alongside his older studio albums all at least ten years old sounds just as authentic and wonderful. What makes this album so amazing is that Bowie stuck to what he knew how to do brilliantly and didn’t try to conform to contemporary musical trends. Then again when did David Bowie ever conform? and we all love him all the more for that fact. From the title opening track you know that this is going to be a great piece of work. It is assured, thundering perfection. The instrumentals are invigorating and it is an epic start. The flow into the chorus on this track is brilliantly constructed and the intro is very unique. Bowie’s vocal is very storytelling-esque. The instrumentals have a very funky rock feel to it. One of my two favourite tracks on the album. I also love the video because the amazing Andreja Pejic is in it. It’s a brilliant video starring Bowie and Pejic as well as Tilda Swinton and Saskia de Brauw. What a cast, eh? The song itself is very catchy and layered in meaning. It’s uplifting and meaningful with great lyrics. Endlessly-playable. Emotionally-rich ballad with beautiful instrumentals that flow wonderfully. This ballad shows the excellent narrative of Bowie’s vocal. It is a poetic, heartfelt and raw vocal delivery. Effective and hypnotizing. I love the intro to this song and how cohesive the instrumentals are. It is assured and layered and Bowie’s vocal as always is amazing. Dynamic and effortless this song is a strident listen from start to finish. Bowie is singing notes very quickly and I personally don’t know how he keeps up with it because I certainly can’t keep up with the notes when I’m trying to sing along. Trying been the object word in my case so good on him for that. A very laid-back number. It feels like a jamming session which is wonderful. Delightful vocal and instrumentals throughout with skillful sensitivity and a wonderful hook to remember. This is my other favourite song on the album. Another endlessly-playable track with a great chorus. Great hook. The narrative in Bowie’s vocal is brilliant. I love how all the parts of the song just seamlessly flow into each other. This David Bowie and Gerry Leonard composition is incredible. Catchy with a great hook. Stunning flow from section to section. Strong and compact and the chorus is very memorable. Laid-back instrumentals flow into thunderous instrumentals. The vocal combinations have a very old school rock feel to them in this David Bowie/Jerry Lordan track. Focused and refined. The intro to this track is a great slab of thunderous rock. This is my second favourite track on the album to The Stars (Are Out Tonight) and Boss of Me. The lyrics are great and the chorus is very memorable. Bowie’s vocal is stunning, edgy and narrative-like. Beautiful and poignant, this number is amazing, textured and emotional. Dramatic intro that has a very experimental and ethereal quality. Bowie’s haunting vocal over these instrumentals sounds glorious. Hauntingly beautiful with a mesmerizing, mythical and musical quality. Bowie’s vocal has a narrative vibe and draws you completely into the song. A lighter track than many of the other numbers it has a very sunny, fun feel to it and a bit of a folk feel. Stunning track. Stunning instrumentals. Glorious sound storming into your ears. The second of the David Bowie/Gerry Leonard compositions is a delightful closing track to the album. It is masterful and refined rock ‘n’ roll and is thrilling and polished. In Celebration Of Brian Molko’s 43rd Birthday! I never got to do this blog post because I was studying for college exams so here it is now. In celebration of the gorgeous Placebo frontman Brian Molko’s 43rd birthday (which was on the 10th of this month) let’s take a look back at some interviews with the man himself. Belated happy birthday Brian! Stunning Bosnian model Andreja Pejic’s style is simply breathtaking. She has incorporated many different styles such as rock, gothic, hippie and classic/elegant into her look over the years. But Miss Pejic doesn’t just excel in the fashion stakes when it comes to her look. She has also created her own set of eyeshadows with Make Up For Ever when she became the first transgender model to be the face of a major cosmetics brand after been the first transgender model to be profiled by Vogue also.